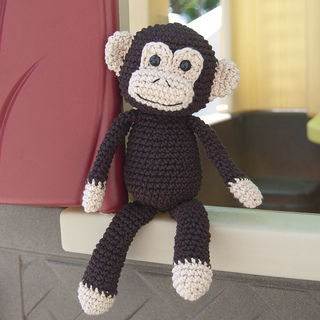 This little monkey is a great pal for your favorite trouble-maker. 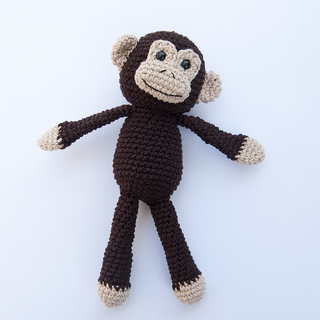 Made with sturdy cotton yarn, your monkey is sure to be the perfect accomplice for all sorts of monkey business! 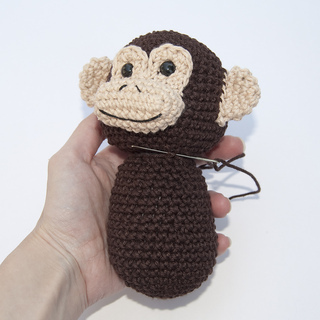 This pattern uses a size F crochet hook, Knit Picks Dishie Yarn, 9 mm plastic safety eyes, and fiber fill. 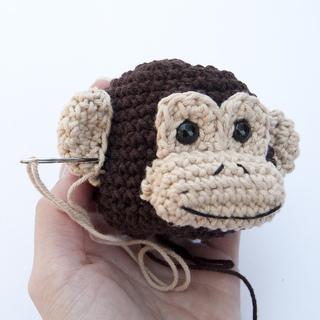 Exact yarn color requirements are detailed in the pattern.